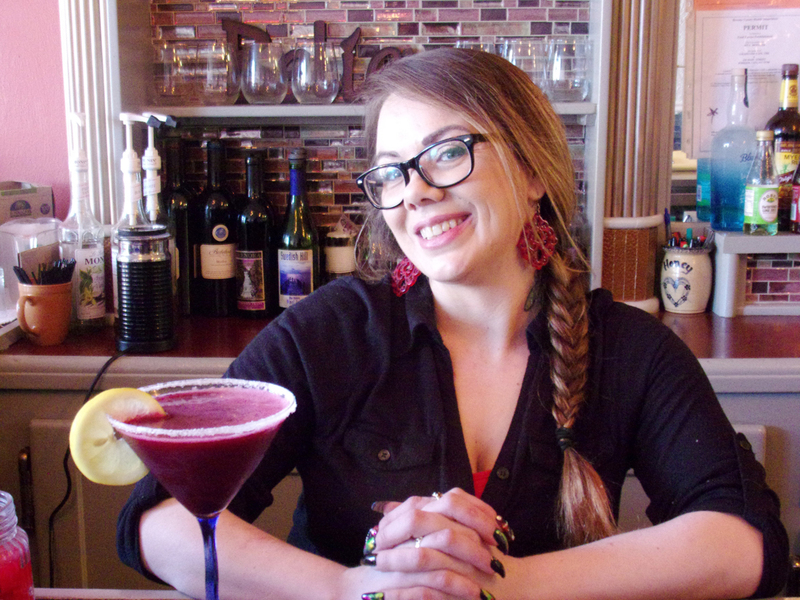 Chances are if you’ve stopped into the Grapevine in Johnson City you’ve met our Bartender of the Month Melissa Fortson. Melissa has been working at the Grapevine almost since the doors opened 3 years ago. In fact it was the first job she applied for after moving here from Georgia. The bond she felt with owner Rita, the staff and the guests was all it took to know this was the place for her. Although Melissa was born in Connecticut she was a daughter in a military family which means you move around quite a bit. She went to high school in Georgia and North Carolina but also lived in Oklahoma and even Alaska. And now after moving here with her partner in life Walter and 4 daughters she can add New York to her travels. Growing up Melissa was considered a bit of a Tom Boy as she loved four wheeling, target shooting, and the days she spent on her grandfather’s farm. Now being in the Southern Tier she is happy to be close to nature again with all of our parks and countryside but also enjoys going to football games and trying new restaurants with her family and friends. Although much of Melissa’s career has been in Food and Beverage, don’t be too surprised if one day you also see her in Nursing School pursuing one of her other dreams. Welcome to NY Melissa, where glad to have you here!! Why not try one of the Grapevine’s favorites pictured here with Melissa. Shake and strain into a chilled martini glass with a sugared rim and garnish with a lemon wheel.